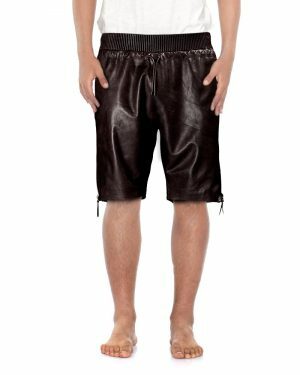 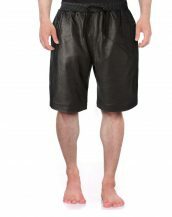 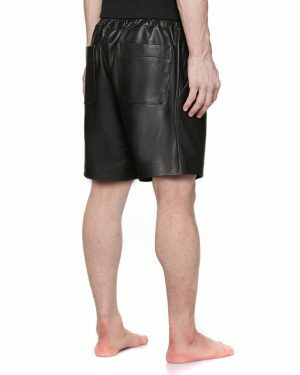 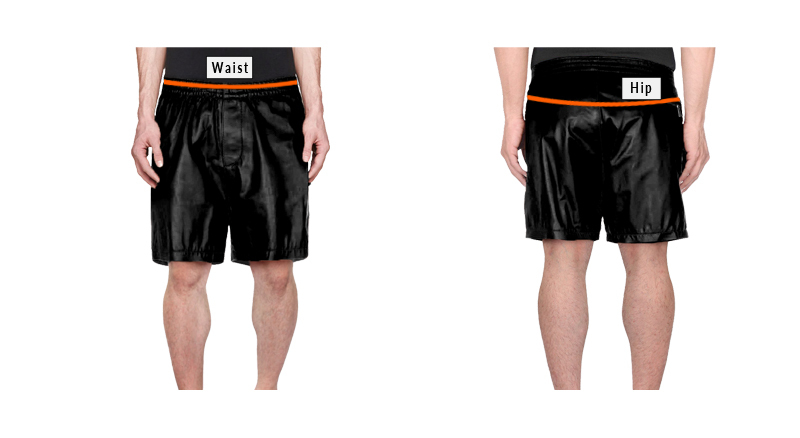 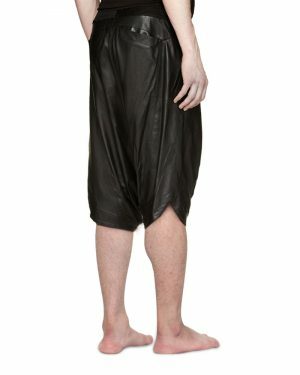 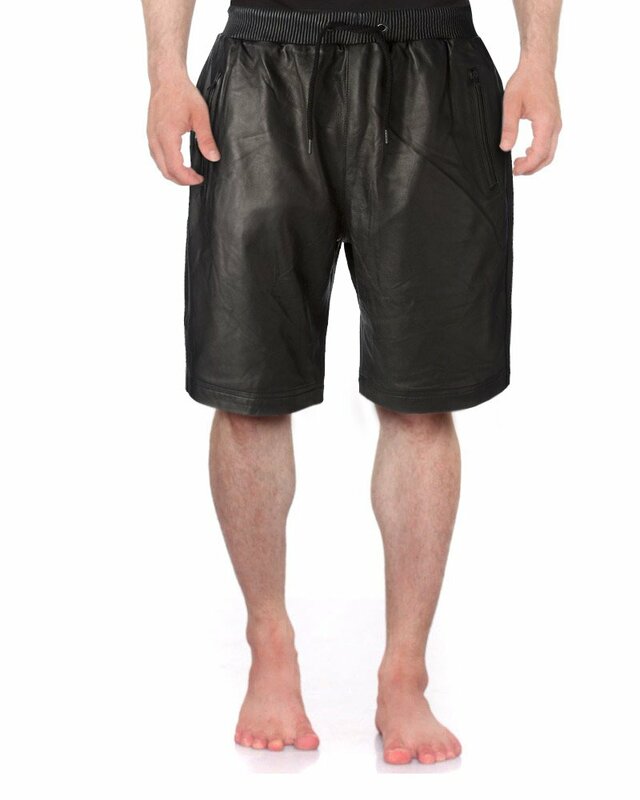 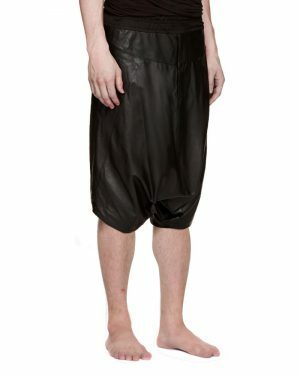 Showcase your love for stylish and trendy clothing by adorning these mens black leather shorts. 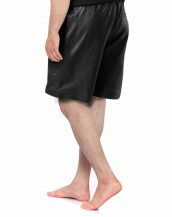 Featuring ribbed elastic waistline with drawstring and side zippered pockets, these shorts can immediately offer you a charming appearance. 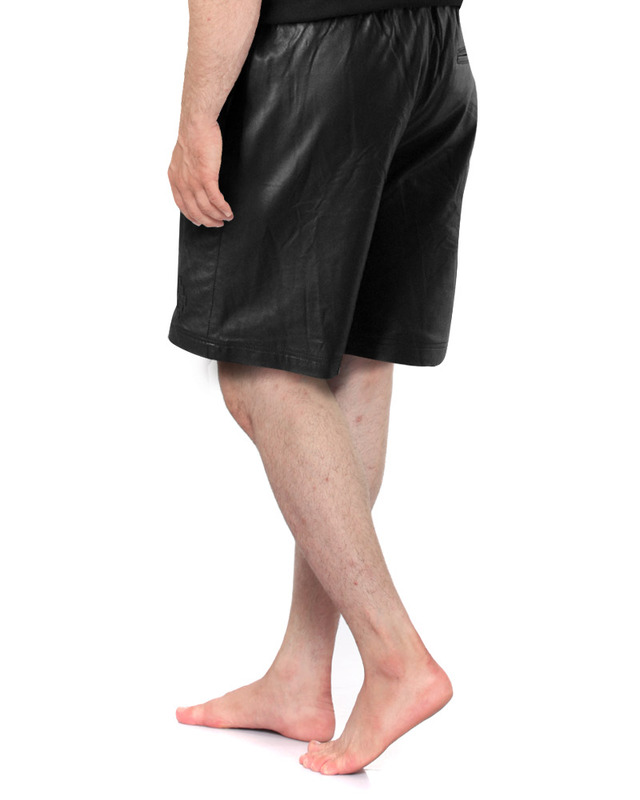 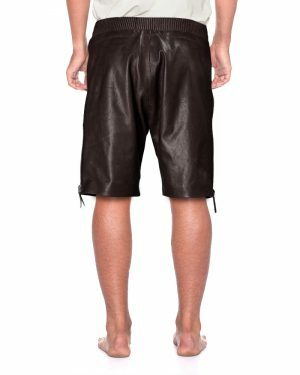 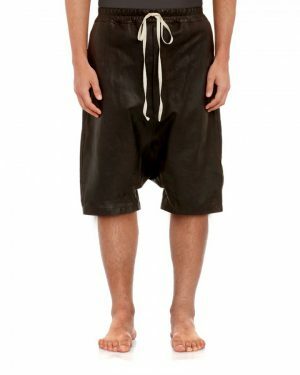 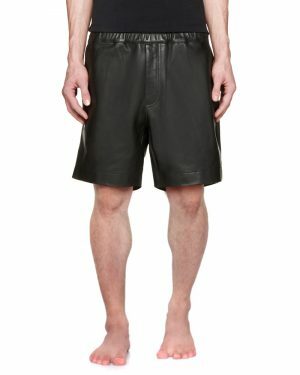 These Bermuda styled lambskin leather shorts can be easily worn throughout the day.